As the weather grows warmer, we naturally turn to thoughts of the exteriors of our homes as well as the interiors. At Topfloor, we are proud to have been one of the first companies to design and manufacture our own range of outdoor rugs – the Rain or Shine collection, which has proved incredibly popular with our clients. 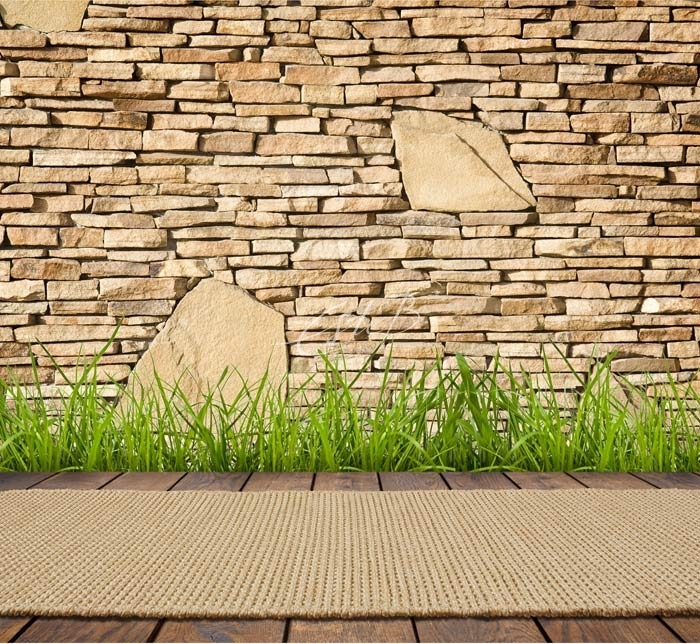 Using rugs outdoors has grown in popularity over recent years, with interior designers and homeowners realising that ‘decorating’ your outside space is just as important as making the most of the rooms in a home. Rain or Shine is a series of textural rugs for outdoor living in two designs: ‘Berry’ with its pronounced ‘bubble’-type texture and ‘Cobbles’, which is flatter and more uniform. 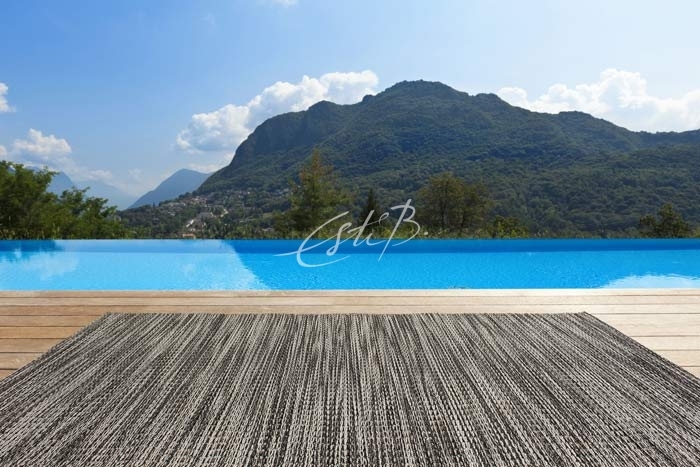 Bringing together rich colour and dramatic, specially developed synthetic yarn, Rain or Shine is water, UV and mould-resistant, making the collection suitable for pool areas and decks as well as bathrooms and spas. Hand-made (like most of Topfloor’s ranges) Rain or Shine is woven using a specially-developed polyester yarn which ensures a high-quality, luxurious finish that will last for years to come. Lightweight and easy to manoeuvre, these versatile pieces can be used in many different areas of the home and garden. 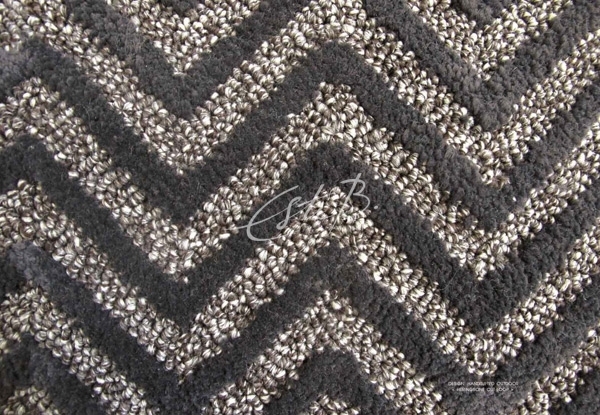 There are a multitude of locations within which outdoor rugs can be very effective additions. The most obvious space is on a garden terrace, to add softness underfoot and colour and interest. However, outdoor rugs can also be used effectively in the garden itself, to create areas for little ones to play on and to keep you dry when picnicking on the grass. Of course, in more contemporary gardens, they can also be used as part of the garden design scheme, adding style and character. They work particularly well in conjunction with linear landscaping. 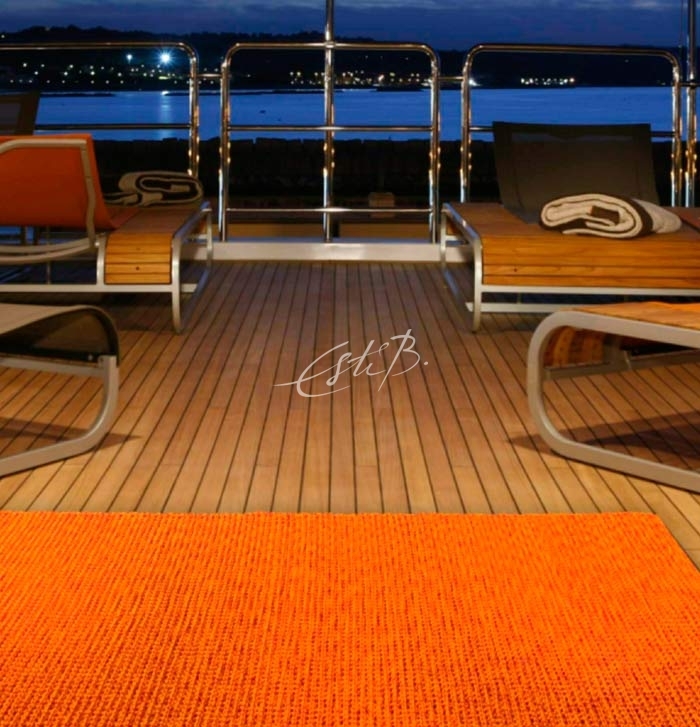 Outdoor rugs are also perfect for use on hotel terraces, where large expanses of decked or paved space can look plain and uninspiring. 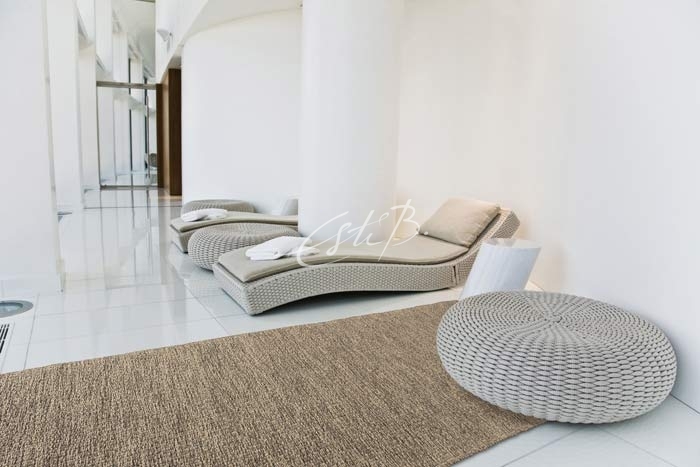 We have also supplied our outdoor rugs to luxury spas and for around the swimming pools of hotels, where again, they provide interest and individuality to functional areas, as well as that luxurious feel underfoot. Outdoor rugs, despite their name, do not have to be used solely outdoors! 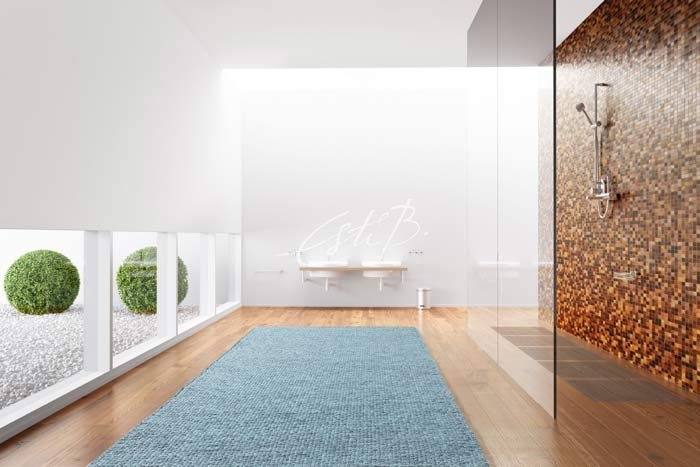 As hardwearing and waterproof designs, our Rain or Shine rugs are also perfect for indoor spaces. They work especially well in bathrooms and kitchens, being hygienic and easy to keep clean, as well as splash- and stain-resistant. In bathrooms, such as this open-plan shower room (above), they are also great for preventing slipping on shiny surfaces. To keep your outdoor rugs looking in perfect condition, it’s important to clean up spills as quickly as possible to prevent them from drying. 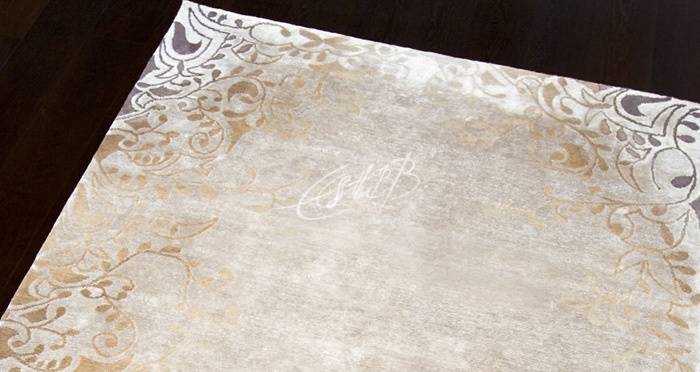 It’s sensible to vacuum your rugs regularly, to ensure that no dirt gets trapped in the fibres. Also, before you lay rugs on patios and terraces, sweep up thoroughly to prevent the underside from being scratched or damaged. Our rugs can also be washed with mild soap and water – to remove stubborn stains, use a soft sponge to scrub, and then hose down with water. Allow the rugs to dry naturally in the sun before putting them away. 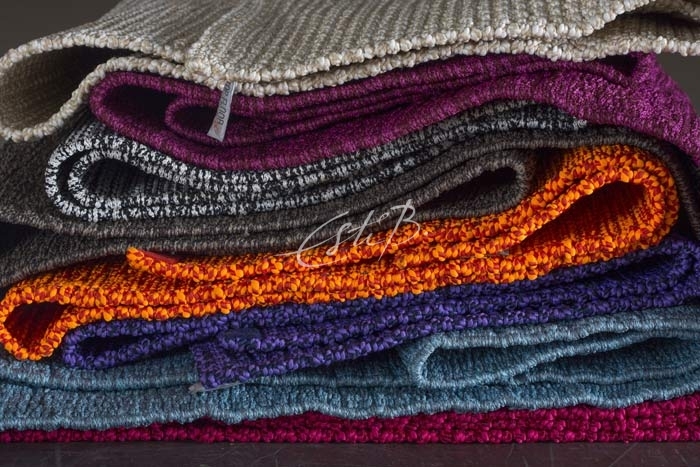 It’s also a good idea to roll up your rugs over the winter seasons or in extreme weather and store them somewhere dry, to ensure they maintain their good looks for years to come. We hope that these tips have encouraged you to think about adding an outdoor rug to your home or garden. We always love to offer advice and inspiration on finding the right rug for you, and you can see many of our Rain or Shine rugs ‘in person’ at our showroom in Chelsea Harbour Design Centre. Alternatively, do call us on 020 7795 3333 for more tips and ideas. 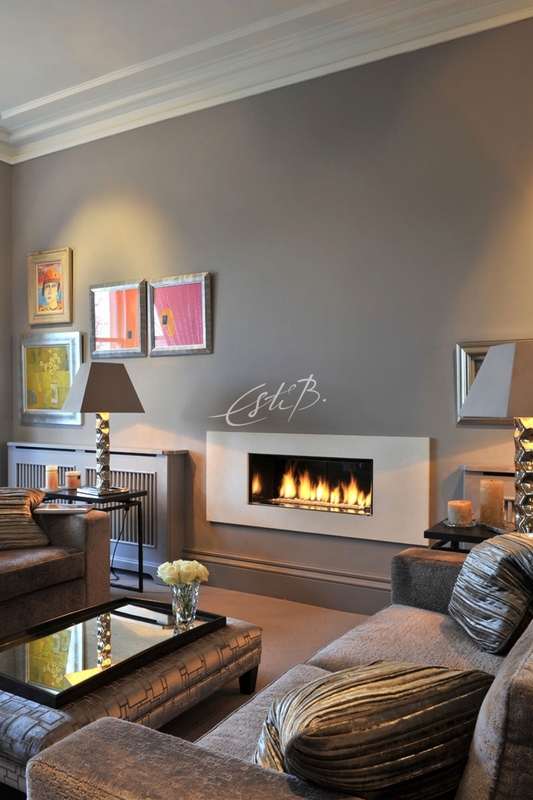 Catherine Henderson is an interior designer with over 20 years’ experience and clients spanning the UK, Europe and America. She’s one of the talented people we’ve been lucky enough to work with over the years, and her passion for colour and texture means she has a great understanding and appreciation of Topfloor’s collections. She prides herself on her personal relationship with clients, always taking the time to get to know them and build up a clear picture of what, for them, makes a perfect home. We decided to take some time to get to know her a little better too! What made you want to work in interiors? Having a home that is warm, welcoming and comfortable has always been very important to me. I can remember fantasising about different looks for my bedroom from the age of seven. It brings me great satisfaction to see how much my clients enjoy living in their homes after the project is completed. I don’t go for a formal, overly designed look – I love to create something that is interesting and personal. You run a very successful and well-established design studio. Can you talk us through your career to date? After doing an internship in the US and an apprenticeship in London, I started my own consultancy, Catherine Henderson Design, and have been running it for 20 years now. I started off doing small jobs for neighbours, friends and friends of friends and was lucky enough to land a few large projects early on. The business has grown from strength to strength on the basis of client recommendations. I work mainly in the residential sector, which I love, but I’ve also worked on some large hotel projects and I’ve just completed an extensive refurbishment of the communal areas of a beautiful Art Deco mansion block in London’s Portland Place. Nature, art and my clients. You have worked extensively both in the UK and abroad – how do you find the experience differs depending on the country? I haven’t found a great deal of difference. People are people and they all want the same thing from me, which is to transform their house into their dream home. 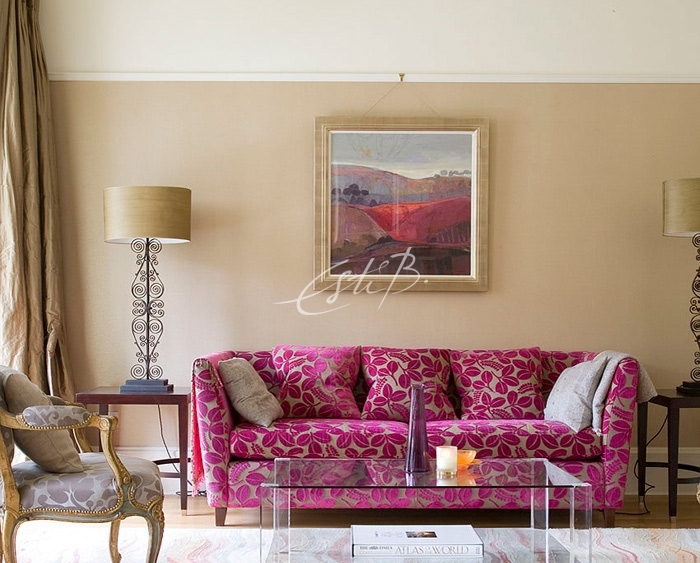 You’re enthusiastic about using colour in your interiors – why? Life without colour would be very sad indeed and I apply this philosophy to the home as well. I tend to keep the big, permanent pieces fairly neutral, bringing in colour and texture with rugs, art and accessories. How did your collaboration with cabinetmaker Sam Paton come about? I met Sam through a mutual client about five years ago. I was so impressed with his work that we’ve been working together ever since. We’re a great team – I know what I want and Sam executes every single commission with exquisite craftsmanship. 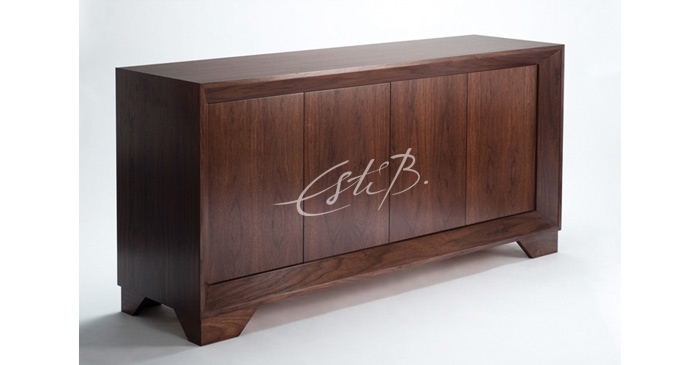 We also have our own range of furniture, which has been a great success, and we plan to add to the collection in the near future. What’s your favourite part of the design process? The relationship with my clients is my absolute favourite part of the process. I love taking their tentative ideas and translating them into a home that they’re proud of and love living in. I live in Glasgow at the moment, which I love. It’s where I’m from and I have my parents and my brother and his family nearby. I have also lived in the US, and in London for almost 20 years, which I also enjoyed a great deal. You have worked with Topfloor on several of your interiors. 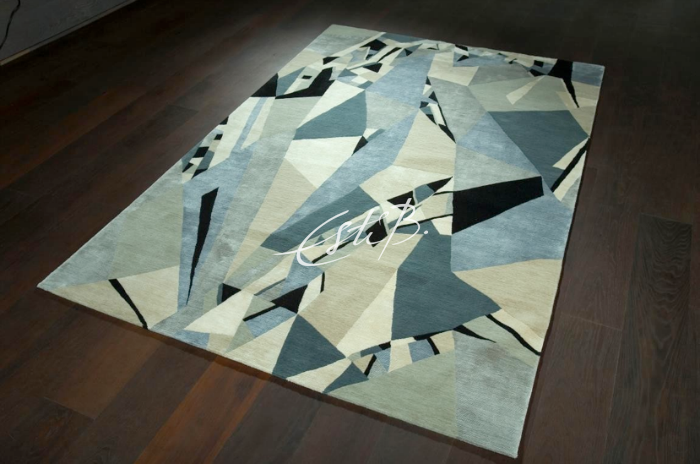 How important do you think details in the room, such as the design of the rug, are to the overall scheme? I think they are of the utmost importance; it’s these details that raise a room out of the ordinary. They add interest, warmth and texture. Which is your favourite Topfloor design and why? My favourite design to work with professionally is Esquisse, because it is both elegant and delicate and can be used in contemporary and traditional settings alike. I used it in the Great Hall of a medieval house in Suffolk and I’m using it at the moment in a contemporary home in Glasgow. My personal favourite is Emerald – I absolutely love the way it lends itself to colour and I love using wool and silk to bring out the vibrancy of particular shades. To see more of Catherine’s work, visit Catherine Henderson Design.